I have used swear words for much of my adult life. I grew up in a culture where swearing was normal and common in conversation. Then I moved across the county to an area that had a very different vibe. One of my first impressions was: “No one here drinks or swears.” Now I know that is not true. It just wasn’t flaunted in the way to which I was accustomed. I started reeling in my potty mouth because I felt I was coming on too strong. However, I learned over time that many adults in my new locale swore. They just did it privately or with certain people. Still, this experience prompted me to look at how I used language and to fine tune my filter. Once I had children, I tightened things even further. Before I go on, I want to say I have plenty of friends who swear in front of their kids. I am not judging that. Every home has its own rhythm, and there are many ways to approach a subject. I am reflecting on my own journey. Part of my decision to abstain from swearing in front of my kids as much as possible came from the fact that I tend to be an all or nothing person. I find it hard to moderate things. If I am going to swear, I am not holding back. Another aspect of this had to do with where to draw the lines. As the mom, I have the ability to shape the culture in my home, and while I want kids to express feelings, I also want them to be thoughtful about how to do it most effectively. Swear words are great because they put a fine point on things like nothing else. That power is undeniable. And because of that, I decided instead of not allowing certain words, I would categorize them as power words and establish some ground rules around them. Power words for me are more than swears. Power words are anything, good or bad, that merit caution and thought. On the negative side, this includes name calling (i.e. stupid, idiot, jerk) or overly dramatic statements. Hearing something like “I hate this show” gives me pause. When one of my kids says “hate,” we talk about it. They aren’t in trouble, but we explore the meaning of the word and think on if it’s the best choice for that situation. Sometimes it is. Often it isn’t. A positive that comes from this attention to speech is that when emotions run hot in our house (and they do get hot), for the most part, we don’t call each other names or throw around negative power words. It’s not a perfect system, but when things break down, we take time to sort it out and find better language to communicate what is really going on. On the other hand, I don’t leave my kids in a bubble. On a hike with my son, I taught him all the core swear words and their meanings. He’s going to hear them around, and many he already had and just didn’t understand. This subversive lesson was hand in hand with a discussion on the appropriate time and place to use them, if at all, with the caution to not use words of which you don’t know the meaning. A year or two later, after one particularly rough day at middle school involving some nasty behavior from another student, I pulled out some particular swears to sum up the situation. My son paused and said, “Yes, Mom! That’s exactly what it’s like. It’s a **bleepity bleep**.” We then had a conversation about the meat of the issue. It’s not that we can’t use these words, but I never want those words to be all that there is. Plus, these power word conversations have been a bridge to addressing more racially and sexually charged language with my kids. It gives us a framework. When I started this process ten years ago, I did not envision the open hostility expressed daily in current American society. I think these lessons on power words are even more important now, as much for me as for my kids. I don’t know if I am preparing my children appropriately, but at least between us, we can talk (and swear) with thought and purpose. Do you swear in front of your children? How does swearing work in your culture? 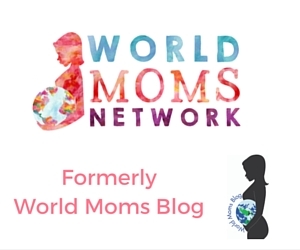 This is an original post written for World Moms Network by Tara B.
this is so timely as my kids are getting older and I feel I’ve been unintentionally loosening up my language after trying so hard to stop cursing while they were little. and love that you had that hike. Another tip I’m filing away based on your example – it’s great having a mom and friend going before me on so many of these issues! On a more serious note, Power Words – I *really* like that, because some words can be extremely hurtful and it’s good to have conversations about how and when (if ever) it is appropriate to use them.